President Barack Obama signed an executive order that targets 8 Iranian government officials who are complicit in a range of rights violations against the Iranian people. For the first time, the United States has imposed sanctions against Iran based on human rights abuses. President Barack Obama signed an executive order that targets 8 Iranian government officials who are complicit in a range of rights violations against the Iranian people since the disputed presidential election of June 2009. The sanctions mean that any property these officials may have in the U.S. or in control of U.S. citizens is blocked; U.S. citizens cannot engage in transactions with them; and the eight are subject to visa restrictions. 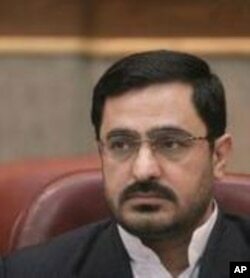 Those identified in the President's executive order include Mohammad Ali Jafari, Commander of the Revolutionary Guard Corps, the military organization known as the IRGC that is responsible for the beatings, murder, and arbitrary arrest of peaceful protestors; Sadeq Mahsouli, former Minister of the Interior with authority over security agents who tortured students in the basement of the Interior Ministry building and abused other protestors at the Kahrizak Detention Center; Saeed Mortazavi, former Tehran Prosecutor General who issued a blanket order used to detain hundreds of activists, journalists and students; and Heydar Moslehi, head of the Ministry of Intelligence which runs notorious Ward 209 of Evin Prison where many political prisoners are held, and where many have been subjected to beatings, as well as mental and sexual abuse. 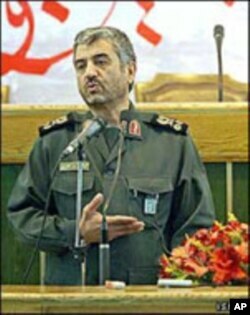 Also named were Hossein Taeb, Deputy IRGC Commander for Intelligence; Mostafa Mohammad Najjar, Deputy Commander of Armed Forces in Charge of Police Forces; and Ahmad Reza Radan, Deputy Chief of Iran's National Police. "We will call out those who suppress ideas, we will serve as a voice for the voiceless, and we will hold abusive governments and individuals accountable for their actions." Secretary of State Clinton said the U.S. stands "with all Iranians who wish for a government that respects their human rights and their dignity and their freedom." She called on the government of Iran to release all political prisoners, and urged it "to take action to end these abuses and respect the universal rights and freedoms of its own citizens."